The Spirit’s Edge Shamonial Temple had its in-person Autumn Equinox / Mabon Ritual & Salon on Sat., Sept. 22. While this online version is a greatly pared down version of our in-person ritual, it is powerful in its own right and will connect you with the greater workings of our Temple. Thanks so much to everyone who attended our in-person ritual and who helped make it such an incredible celebration of Light, Love and Community! We look forward to having our online members and friends join us now in Spirit! We partnered with St. Michael the Archangel as the Divine Masculine and with Saint Kassiani as the Divine Feminine. It was a Ritual of Strength for the upcoming Winter season, partnering with St. Michael the Archangel. And we luxuriated in the Peace, Light and Love shared with us by Saint Kassiani! We sojourned into the gardens for contemplative meditation, and in this online ritual you will have time for that as well. It was a joyous ritual of the Light conquering all darkness! St. Michael the Archangel has been a spiritual ally of mine personally for a very long time. In 2016, I had the privilege to journey to Moscow, Russia and visit the Cathedral of the Archangel, dedicated to St. Michael the Archangel, which is located in The Kremlin. The artwork of Archangel Michael on the walls of his Cathedral was beyond words, and it was such an incredible experience. I knew I would bring it back and share with all of you at the right time – and now is that time! I was on a quest throughout my travels in Russia to find a “Blessed” Icon of Archangel Michael. I finally found it in the most beautiful Orthodox Church, which was in Moscow not far from The Kremlin. That Icon of St. Michael the Archangel, sat in the center of our altar at the Autumn Equinox, and you may see it in the photo. When I thought of the Autumn Equinox in preparation for this ritual back in August, Archangel Michael was immediately front and center. 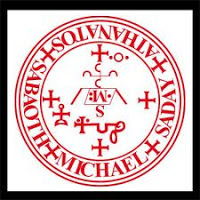 Then as I did a little research, I quickly remembered that his Feast Day, Michaelmas, is on Sept. 29, which is one week after our in person ritual – perfect! But of course. I mean, he did ask for this ritual, right? Though the modern-day Feast Day is Sept. 29, in the 5th Century, it was on Sept. 30, starting the eve before, similar to how the Celtic holidays are honored. Later it became Sept. 29 in some western churches. Michaelmas is also known as the Feast of the Archangels and also as the Feasts of Saints Michael, Gabriel and Raphael. This is so fitting with our ritual, as we partnered with Archangels Tzadkiel (one of my personal allies, and you may read more about him and his Violet Flame here), Raphael, Uriel, Gabriel, Metatron, Sandalphon and Azreal. The Violet Flame of Archangel Tzadkiel is the Violet Flame that emits from our Spirit’s Edge Shamonial Temple’s Sigil, creating the Temple on Earth during our rituals. 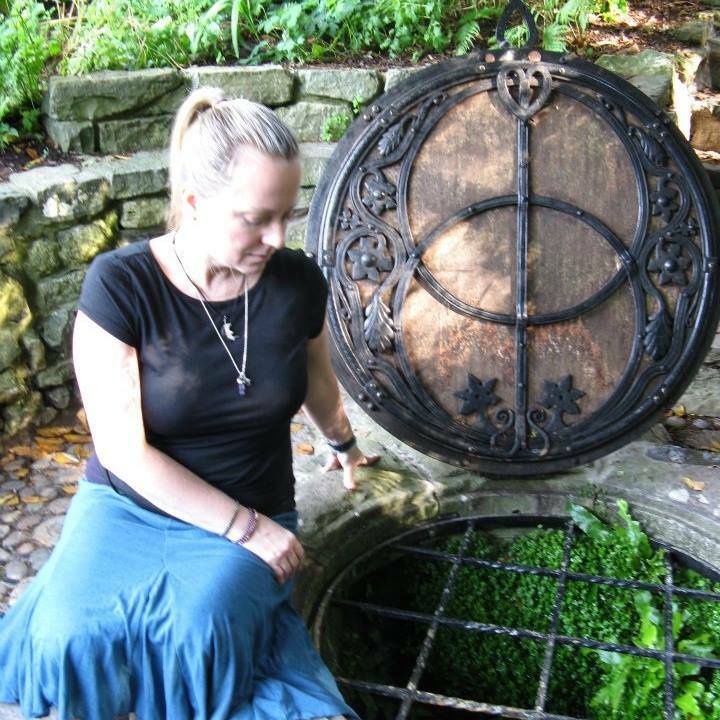 In addition to the Archangels, we also partnered with the Dragons Red & White of Glastonbury, of the Chalice Well, where Dion Fortune (my Master-Teacher on the Inner Planes) did so much of her work. We also experienced the Union of the Dragons, as the Pink Dragon of Spirit, United in Love, within and without. The photo to the right is from my pilgrimage to Glastonbury in Aug. 2011. I love this one by The Chalice Well. It is in the top of the Chalice Well Gardens, where Dion Fortune did her Work. I did many workings with the Dragons Red & White in the Chalice Well Gardens, and the Pink Dragon of Spirit comes from my experiences in deep journey in the Gardens. 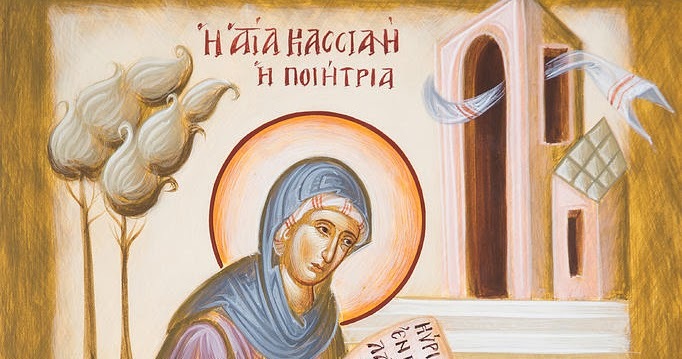 Saint Kassiani was a hymnographer, songstress, writer and abbess, born between 805-810. She wrote under her own name, which was mostly unheard of in the medieval period. She was described as intelligent and beautiful and clearly was independent. She founded her own convent where she became its first abbess. A young emperor desired her. As he approached Kassiani, he said “Through a woman [came forth] the baser [things].” His meaning was that of original sin. She did not skip a beat and replied, speaking of all women, “And through a woman [came forth] the better [things].” Her meaning was the Divine in the form of God himself incarnate as man. Saint Kassiani, Empowerer of Women! Her energy is that of Love, Peace, Light and Harmony. She stands willing to wrap all seekers of the Light, no matter their path, in a cloak of the most beautiful Divine Feminine energy. You need only to ask her!! 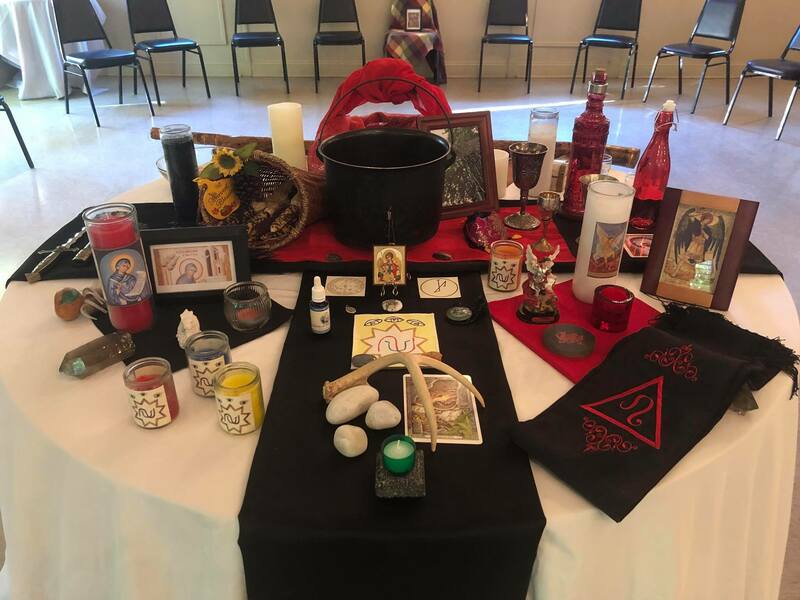 The photos are up on our Spirit’s Edge Shamonial Temple page Autumn Equinox album HERE and in our Spirit’s Edge: A Seeker’s Salon FB group page as well HERE (just click and ask to join – all are welcome! and then you may view those photo albums as well). This ritual and night were filled with the most incredible Light, Love and Peace! Our foundation laid in Strength, we now journey forth within the Light to embrace the Winter to come, with the seeds of Peace and Prosperity sown for the growing season to come. And so too, now may you! Love, Light and Sweet Blessings! You are welcome to perform your ritual at any time, and it will tie into the main working of our Temple’s Ritual. 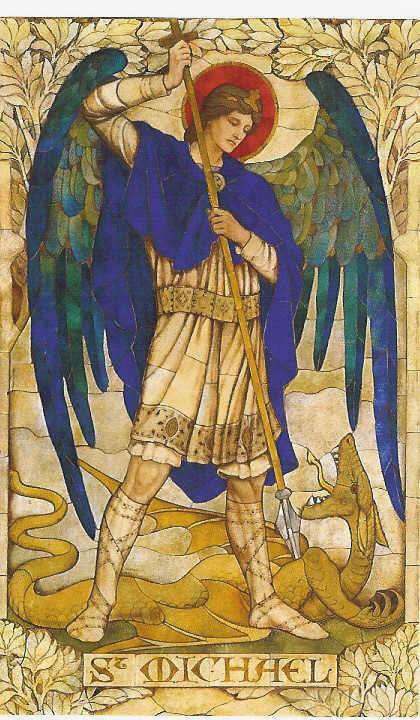 Sat., Sept. 29 is St. Michael the Archangel’s Feast Day, so it is great. In the 5th Century, as I mentioned, his Feast Day proper was on Sept. 30, which is this Sunday. Sundays in general are also great too, with their association with the Sun. However, Archangel Michael has made it known that whenever you decide to partake of this ritual and his energy, he will welcome you with open arms, with open wings. And Saint Kassiani will open her arms of Love to you. • Have a glue stick, and also scissors just in case. • Your journal or something to write on and a pen. Prepare your altar space with your images of St. Michael the Archangel and Saint Kassiani and your two candles and your other supplies. Then prepare yourself and your space according to your preference. You may cast a circle and call the quarters if you would like, but it is not necessary. Beautiful Abbess, Empowerer of Women! Writer of Song! Your Love that radiates from the center of your being with the Divine Light of the Heavens! As by filling our own Cup first, we may then share that Light and Love with others on this Earthy Plane. Come to us now and be with us here, lend your magick to ours this magickal Autumn night. Wrap your Mantle around us, walk with us, commune with us. Hail St. Michael the Archangel! Even Dragons are left shaking in your Archangelic wake! Bringer of Peace through Strength and Courage, you fill our Souls with the Light of the God himself! The Light that is … As Within, so Without. Aid us as we do the Great Work of our Souls in this World and in all Worlds. Light the Way for us, Uniting your Torch with our own Inner Flame, on our journey through this Earthly Plane. Next, sit in meditation and contemplation. What Strength do you wish to bring into your life, as a gift from St. Michael the Archangel? He will assist you, you only need ask. Feel the Light of his Flaming Sword illuminating your path and life, radiating Light outward, filling your being with his beautiful Archangelic energy. Feel his strength under your feet, your foundation solid, your roots fully planted, and your being surrounded in Light for the Winter to come. You stand prepared for the next growing season. As you continue to commune with St. Michael, you may wish to assemble his peyton with your Intent at this time. 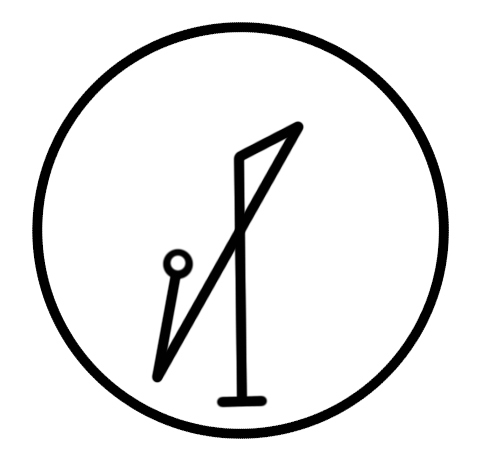 You will place the Sigil on one side and his Seal on the other side – a two sided peyton. This will be something you may place in sacred space or on your altar or a shrine to him. Wherever the peyton goes, it will bring the Light of Archangel Michael to the Work. If you wish to delve deeper, you may commune with Archangel Michael and with your own Higher Self on your soul’s growth in this lifetime, seeking to “turn lead into gold” and the Work to seek that union with you three souls as one – your Lower Self, Middle Self and Higher Self, the Divine Marriage with yourself. When you have communed with St. Michael the Archangel, take some time to commune with Saint Kassiani, the Divine Feminine, for this working. Feel her beautiful energy of Peace and Love and Light. Feel her arms envelop you with a mother’s love, radiating Peace, Love and Harmony throughout your being, inviting the Divine Feminine energy to flow through your mind, body and spirit, illuminating your life. You may wish to journal as you commune with Saint Michael and Saint Kassiani. You also may wish to take a little time and walk outside into nature, and then come back inside to finish your ritual. They will hold and protect your sacred space. If you wish, you may build power through rattling or drumming to charge your peyton, yet the quiet contemplation of this working with the Saints / Archangel Michael is the power that is truly needed and your peyton will be charged by that Intent. Saint Michael and Saint Kassiani stand ready. At this time, you may choose to speak words of love and gratitude to St. Michael the Archangel and Saint Kassiani. When you feel you are finished, thank the spirits for their presence in your space and wish them farewell. Then close your circle according to your own tradition. Place your charm/petition on your altar or in a special place where you’ll see it often and be reminded of your work. Wishing you all Love, Light and Sweet Blessings this Autumn season! May it warm you through the darkness of Winter, and may you always feel and know the Light within and without. 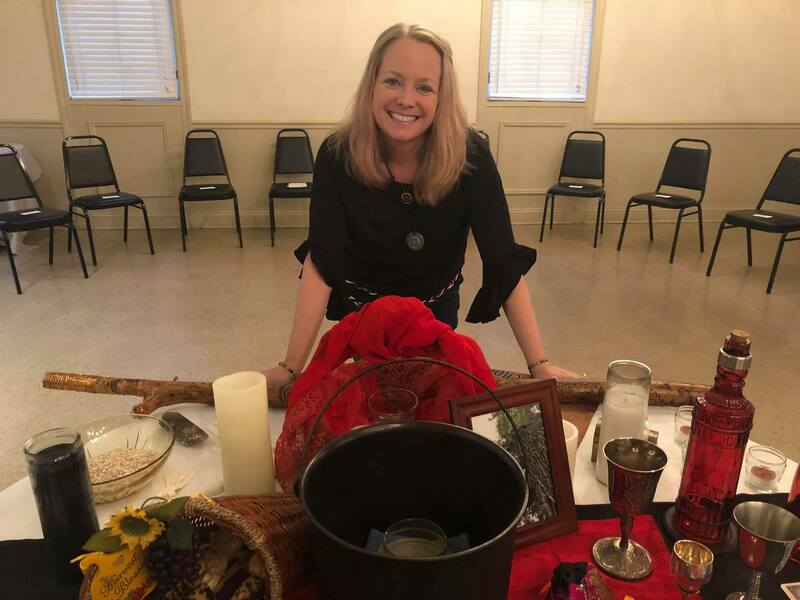 Kassia S. Morgan, Founder, Minister & High Priestess of the Spirit’s Edge Shamonial Temple & Tradition at our Autumn Equinox Ritual & Salon on Sept. 22, 2018. All Hail St. Michael the Archangel! Our Temple’s Autumn Equinox / Mabon / Michaelmas Ritual was written by Temple High Priestess Kassia S. Morgan unless noted otherwise, and all rights are reserved. It may be used for your personal/private use only. If you wish to use this or a variation for a group in the future, please contact Kassia S. Morgan for the Spirit’s Edge Shamonial Temple at ravins52252@mypacks.net for permission; this ritual may not be published or used publicly elsewhere without prior written permission and attribution.